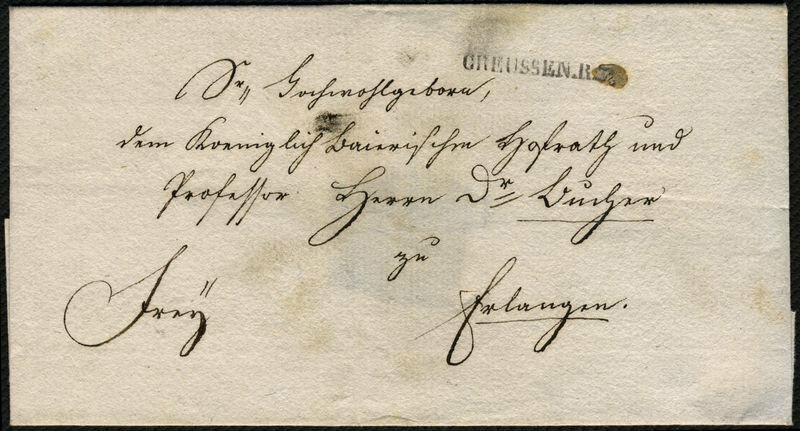 Bavaria, pre philately approximate 1805, one-line cancel CREUSSEN. R. 3. 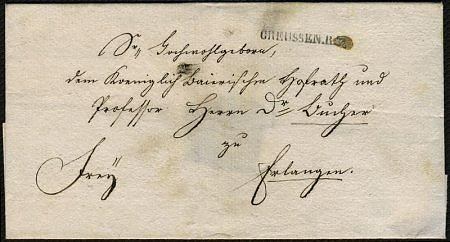 On cover to Erlangen. Nice paper watermarked flute player in flowers cirrus.